Memorial Day is a few days away so we wanted to send out a reminder. 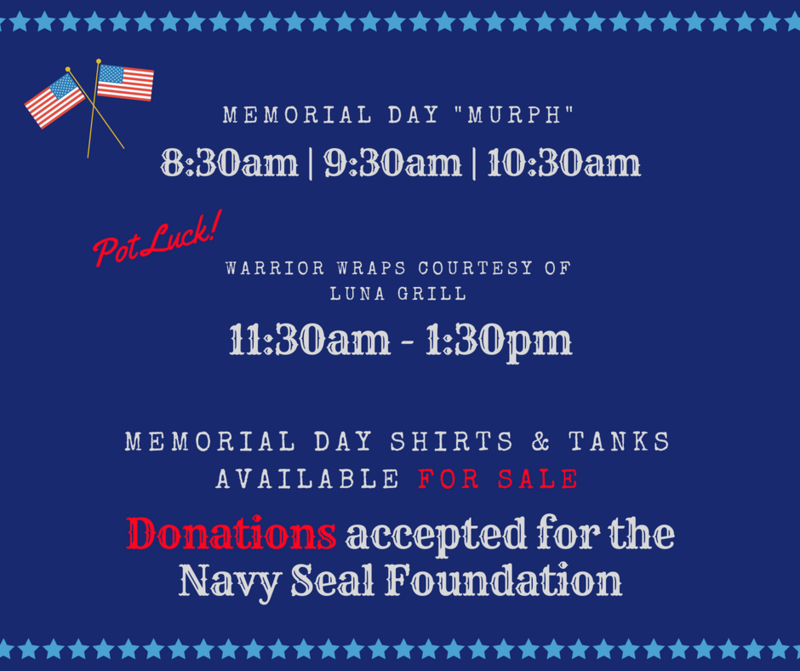 Luna Grill has donated 75 warrior wraps for our event beginning at 11:30am. Feel free to bring a dish or beverage to share after the workout. Ian Thompson has put together a donation plan for the Navy Seal Foundation. His work, BioMed Realty, is willing to match up to $1,000. He will be setting up a booth to collect donations during our Murph event. Every bit helps and 100% will be going to the foundation. Check out his post below!